This year we decided to go with "something you want, something you need, something to wear, something to read." Adopting this little rhyme as a gift philosophy accomplishes a few important things: 1) I feel smug about being above our society's obsession with more stuff, 2) I save time and money, and 3) "Santa" can still bring whatever the heck (s)he wants. Speaking of Santa, I waffled a bit about propping up a mythical fat white man (in our house he's white ... also, Mormon) as an important part of the holiday, but in the end my magical memories of my own childhood belief in the man spurred the next generation of deception. Fingers crossed Graham and Ruby will still believe in Jesus. *You may notice a dearth of presents for Ruby. That's because she is seven months old (today!) and doesn't care. I may buy her a Christmas dress, which everyone knows is really a present for me. 1. Something Graham wants: I asked the boy what he wanted for Christmas, and he vaguely replied, "Toys and balls." 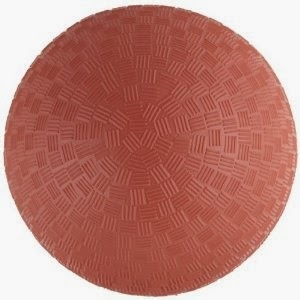 I pressed for more information, so he specified, "Red Balls." Easy peasy. If you mix epilepsy, sugar, Kanye West, and moldy cheese together, and then feed that mixture to an African buffalo, this is what will get pooped out. One reviewer noted, "I love Sperry Top-Sider shoes for myself so it was only natural that I would want to outfit my grandson with them. We are going on a cruise and he will be wearing them to board the ship. 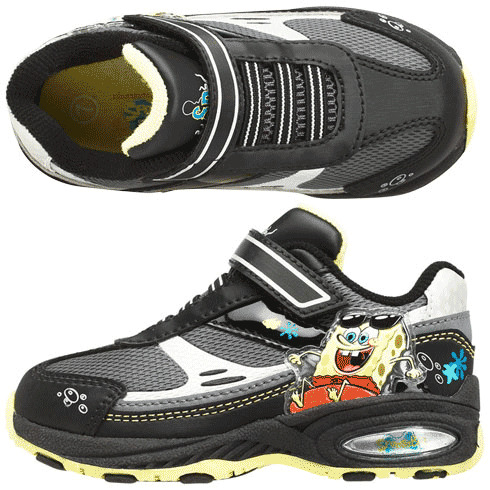 This is an incredibly good looking shoe that does not lose its style because it's for little kids. Love them and will continue to purchase for him as he grows up." I'm going to trust this posh grandma's tastes ... I mean, her grandson is going to wear them while he boards the ship! That's basically the fête of the ocean, for those of you who don't know. 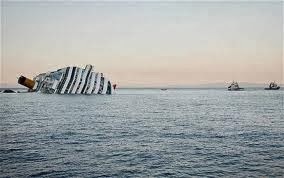 It'll be like Titanic, but only in terms of style and glamour, not death. 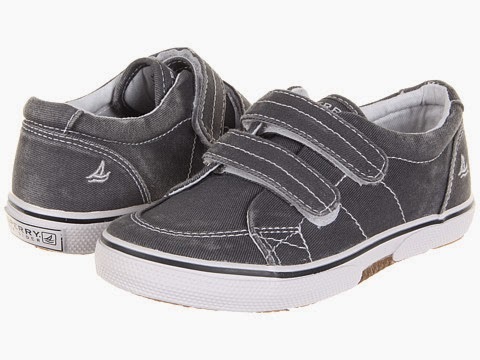 I only wish Graham had a grandma benevolent enough to provide Velcro boat shoes for him until he turns eighteen. Someone boarded the ship wearing Walmart Uggs. 3. Something to wear: If you know about Graham's fake Crocs, you also know that our kiddo is super slim. This means pants that fit his waist give him a severe case of highwatering, and pants that fit his legs usually fall off his less-than-ample booty, exposing his cute, Pixar movie-themed underpants. 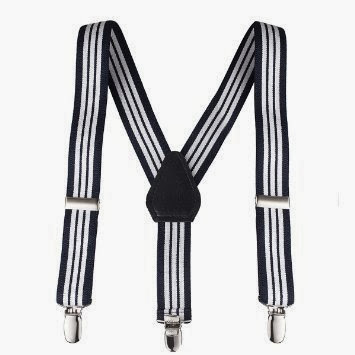 The solution: suspenders. So functional, so hipster, so stripey. These will turn Graham into a Newsie. Wouldn't a belt be easier? Probably not for my recently potty-trained cherub. Remember: lazy mom. 4. 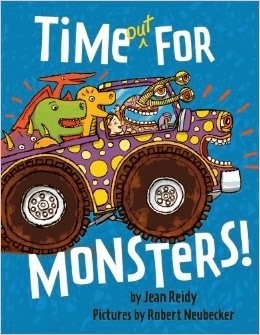 Something to read: We checked Time Out for Monsters! out from the library a few weeks ago, and since returning it Graham has been requesting it. I like the illustrations, it's short, and it has a great twist at the end. 5. Whatever the heck Santa wants. 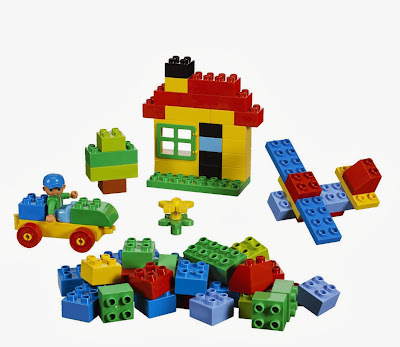 This year it's a LEGO Duplo Building Set. Timeless, no batteries (lazy mom), fosters development of spatial skills, promotes world peace, and is one of the few plastic toys I will endorse. Graham loves the small set he got from his grandparents, along with a few more he kind of accidentally stole from our neighbors, so I figured I should get him a few more. Then of course there are the requisite stocking stuffer items ... I'm planning on some Goldfish crackers (Graham's cocaine), new socks, an orange (as large as possible ... the child's stocking is not small), maybe some bubble bath, candy, etc. If I could change the rhyme (and I can because I AM SANTA), I might include some art supplies in the jingle, and maybe an outing/activity of sorts (my favorite type of present to give adults). Maybe "Something you want, something you need, something to wear, something to read. Something to do, something to make, because you need something to distract you while mom hides in the kitchen and eats cake." I'm sorry that I won't be the grandma buying Graham shoes every year (who buys shoes without trying them on, anyway?). And nothing could be cuter than watching Graham running wildly in his crocs yelling, "Bacon! Bacon! Bacon!" Things will be light for us this year; blame Robbi.